Cee-Cee Miller will be this week’s featured performer at the French Art Colony’s Hot Summer Nights performance. 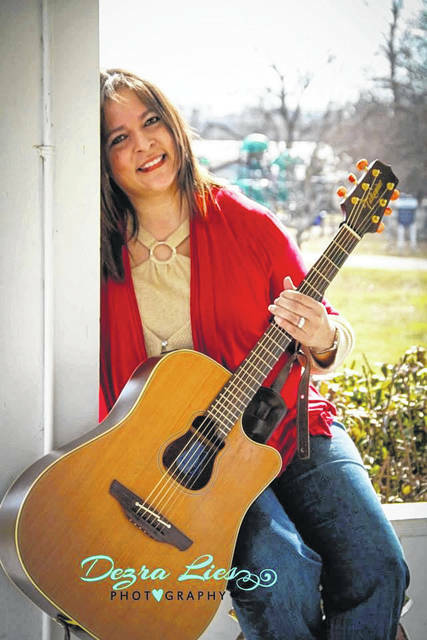 GALLIPOLIS — On Thursday evening, in the Pavilion, on the grounds of the French Art Colony, Cee-Cee Miller will be the featured entertainer. On Thursday night, June 28, the gates at the Pavilion at the French Art Colony will open at 6 pm, with food available for a donation and legal beverages for purchase. The music will start at 6:30 pm. Growing up in a musically inclined family, she began developing a deep love for the art of singing at an early age. She would always be asked to sing, by friends and relatives, during family gatherings and other special occasions, even when she was still a child. People would tell her how her music made them feel lighter and gave them a certain sense of happiness. As time passed, she continued to hone her craft, studying various singing styles and techniques, as well as learning as many genres as she could, adding to her constantly growing repertoire each time. She loves singing and performing for all types of crowds and usually decides the songs she will perform, based on the type of audience who will be present at the venue. Her goal is to become one of the most requested West Virginia singers there is. She said she would love for her name to be the first name that comes to mind, when someone thinks of the best West Virginia musicians to hire for fairs, festivals, private parties and more. Also available for sale, will be tickets to win a stay at a beachfront Garden City condo. Tickets are $5 each or three for $10. A winner will be drawn on the final night of Hot Summer Nights, August 30th. All proceeds from the ticket sales, along with those from the one-of-kind Hot Summer Nights T-shirts, created by Lucky Cat Design Company, will be used to purchase fans for the Pavilion, to make it more comfortable, during the hot summer months.